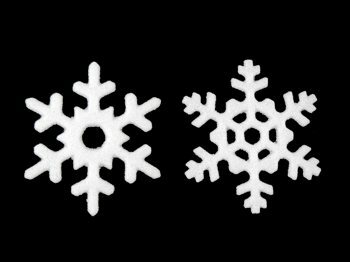 Snowflakes ’14 creates snowflakes that are light and delicate, but are slightly larger and, of course, different than the previous years’ Snowflakes ’13 and ’12. 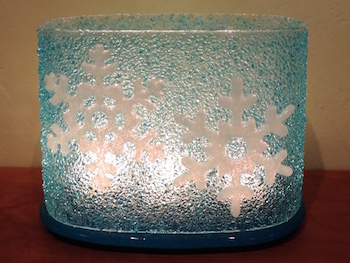 Snowflakes ’14 make perfect decorations for Christmas trees and holiday windows. You can also incorporate these into larger projects. 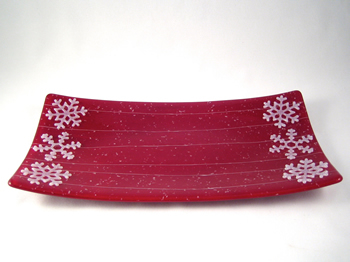 Use the snowflakes to embellish plates, platters, and votives. The mold is about 8 by 4.5 inches (20.5 x 11.5 cm). 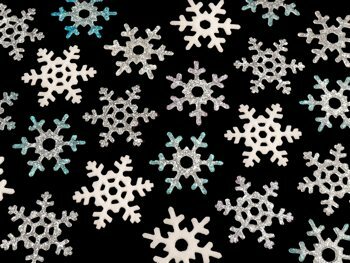 The finished snowflakes are about 3.25 inches (8.25 cm) across. Each cavity holds 8 grams. Make sure to follow the low temperature firing schedule outlined in the project sheet. Find the project sheet by clicking on the Green LEARN tab above.